Monday - Today, we learned about Naomi, Ruth and Boaz in Believe Storybook. The lesson was to help people who are in need, and how God can bring blessings we would have never imagined through this. Tuesday - The boys followed along in their children's Bible and watched the video for chapters 1-6 in The Beginner's Bible Collector's Edition. I love this because it helps not only teach them stories in this Bible, but also my first grader can read along and get to know more words to read! Wednesday - We learned about the story of the Good Samaritan in Believe Storybook today. The lesson was to be a good neighbor and friend, and to help people in need. Thursday - Chapter 9 in Believe Storybook was about Hannah and Samuel, a very special story to me. 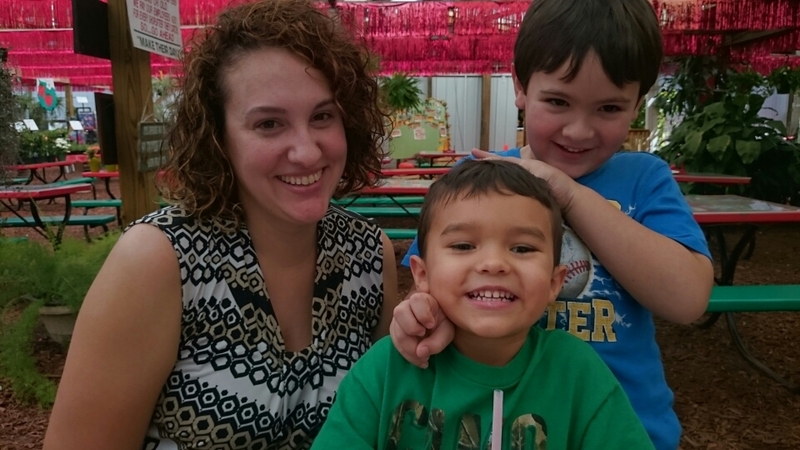 My blog is named after this story because I almost lost both of my sons at delivery. I dedicated them right back to God and wanted to raise them to be godly men. God is so good. My life and my sons lives could have been taken, and He is amazing to continue to bless us, and we honor and praise Him for that. Monday - B did Lesson 21 in ABCmouse today called Ivan and His Inventions about trapezoids, rectangles, triangles and hexagons and the shapes they can make together. Lesson 22 was called Equations to 10, and he is starting to learn his addition equations! Tuesday - G practiced writing number 5 today and completed his math worksheet on 5, by counting 1-5 and listening to the directions. Wednesday - The boys made a number caterpillar today by organizing 10-100 in order by 10's. Thursday - B did Lesson 23 in ABCmouse called Math on the Farm. Friday - B did worksheet 9 in his workbook on addition equations. 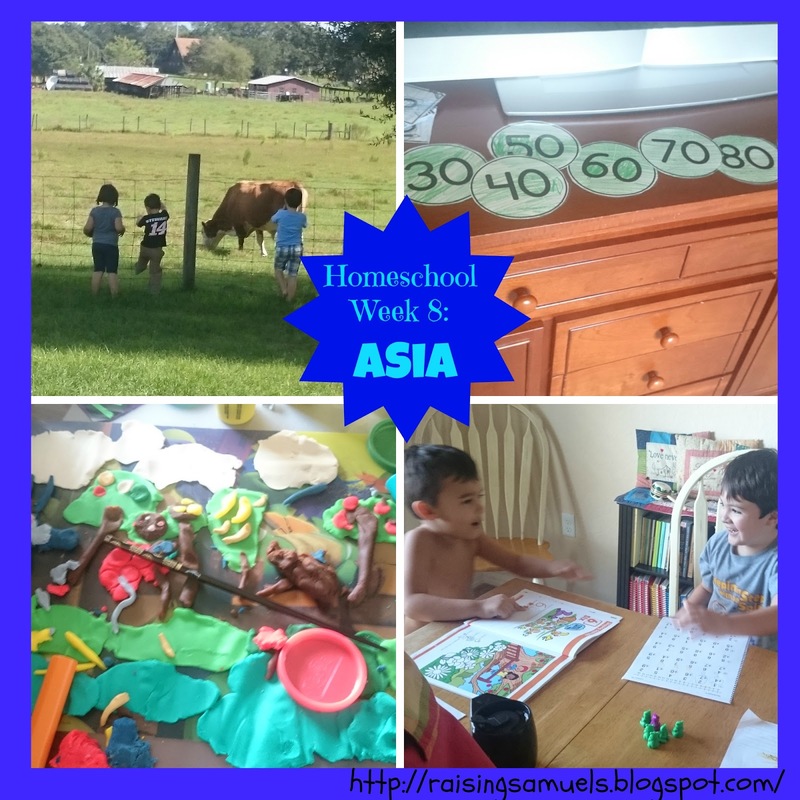 Monday- We learned about the continent of Asia this week in What Your First Grader Needs to Know. Asia is the biggest continent, has the biggest country (Russia), countries that have the most people (China) and India, and also the highest mountains. Tuesday - We learned about fire safety from the Clifford magazine October 2010 edition. We learned about things that are ok and not ok o to touch; stop, drop and roll; and also went over how to call 911 and what our address is to tell to the operator. Thursday - I had a worksheet from The Mailbox on The Story of Marco Polo. It is the story of his family heading to China from Italy, and what happened upon their return to Italy. Friday - B did Lesson 24 in ABCmouse called Explore the Continents with Carla. Tuesday - We learned about plants and animals today in What Your First Grader Needs to Know. We compared our body parts to seeds, roots, stems and trunks of plants. The boys learned that the plants need water, air, and sunlight for the plant to produce nutrients for its survival. Monday - G did Lesson 62 in ABCmouse called Reading: Put it Together, R-Z. B did Lesson 22 called What's the Story? Aesop's Fables- The Tortoise and the Hare. Tuesday - B did Lesson 5 on Introduction Story Narration in his Language Arts book and we also read about The Rabbit and the Turtle. We did some reading comprehension questions. Wednesday - Today, we read the books Franklin's Halloween and Chicka Chicka Boom Boom. Thursday - To go along with our Social Studies lesson, the boys had to take the story sheets and sequence them back in order. Friday - Today, B did Lesson 25 on ABCmouse called Meet Mr. Wordsmith. Tuesday - G wrote the number 5. Wednesday - B wrote the words: China, Panda Bear, India, Elephant, Asian Tiger, Russia and Polar Bear. Thursday - B wrote the word, Asia. Monday - G did Lesson 61 on ABCmouse called Art: Brown. The boys had a friend come over to play, and we took a walk and rode bikes. Tuesday - Today, the boys had some Play doh fun and they made a scene of water, trees, land, a turtle, hare and even Peter Pan and their version of a Minion from all the lessons so far this week. Wednesday - B colored and drew today. Thursday - The boys had a playdate with their cousins today, which has been great because we just learned my brother-in-law's job is being transferred out of state, so we won't be seeing them as much. My sister's house has a farm behind it and the cows are very friendly! Your Best Destiny book launch team, in exchange for an honest review. This post also contains affiliate links and I will be compensated if you make a purchase after clicking on these links. Thanks for supporting my site! 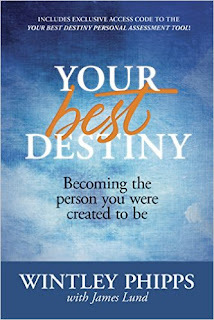 Your Best Destiny is a life changing book that discusses eight different segments of life, and how to live the best life God intended us all to have. Each book comes with an individual code that includes free online access to a personal assessment tool, and the back of the book has questions for personal use or for a small group study. There are also reflection questions, summary of vocabulary and things described, and a prayer at the end of each chapter. The very first endorsement in the book is by Ben Carson, and to me that speaks volumes. The author opens up the book in asking what success can be defined as in our lives. Each person has their own description of success, but the success he talks about is living the best life we can with the gifts that God has blessed us with. Each of the eight descriptions is almost like an adult version of the fruits of the spirit, but is explained with personal stories, celebrity stories, and also not so famous people and their testimonies. I enjoyed this because it gave me a visual and a way of applying it to life. The ironic thing about reading this book, is God also had a way of showing me exactly what the author was talking about. I was able to see situations with a new set of eyes and even say to friends and family, "I just read this great book and there was a true story in it and it went like this..." I was also able to apply many of the things explained in this book to my own life. This is a wonderful book. I loved that the beginning of each chapter either had a famous quote or scripture, along with a story of something very relatable that hit deep. It is very easy and enjoyable reading, so I think anyone older than a middle school child would have no problem reading and appreciating this book. I would stamp my highest recommendation on this book, and think many could relate to and apply these strategies to living the best life that God created for them. Thanks for stopping by to read my review, and thank you to Your Best Destiny book launch team for allowing me to be a part of this. 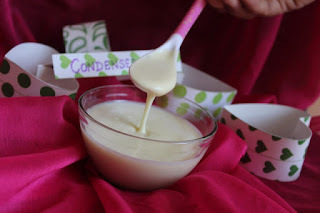 Congratulations to RocketLooks for her post on how to make Homemade Sweetened Condensed Milk! This looks like it will come in handy with all the baking and cooking in the next few months! 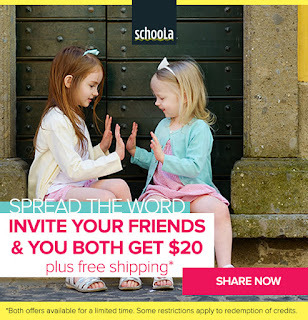 Schoola offers consignment children's clothing at great deals! My oldest has grown 3 sizes this year so I embrace the opportunity to be given hand me downs or brand name clothing that is gently used. If you use my referral link, it will give us both a $20 credit and free shipping! I have bought from here before and their clothes are exceptional! This giveaway includes a Prize Pack valued at $500, including a tablet, books, and an Amazon gift card! It is for US residents only and ends on 11/9/15. Best of luck to all who enter and you can enter here. Disclosure: I am sharing this giveaway as part of being on the When Lightning Struck! : The Story of Martin Luther Book Launch Team. I received a complimentary copy of this book and will be posting a review on this shortly, in exchange for my honest opinion. To celebrate Reformation Day and the release of When Lightning Struck! 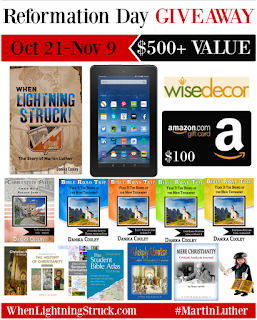 : The Story of Martin Luther, I've joined together with a team of blogger friends to host this wonderful giveaway, valued at over $500! October 31 commemorates what has become known as "Reformation Day." Martin Luther’s nailing of his ninety-five theses to a church door on October 31, 1517 in Wittenburg, Germany, provoked a debate that resulted in what we now call the Protestant Reformation. As the “Father of the Reformation”, Martin Luther is a vital figure in Church history. His sacrifice and willingness to wage battle against the spiritual, religious, and political powers of his medieval world allowed Christians throughout time to embrace the truth of salvation by grace alone through faith alone in Christ alone as explained by Scripture alone. Author Danika Cooley has written Luther's story for young people in her new book, When Lightning Struck! : The Story of Martin Luther. Disclosure: I received a complimentary copy of this book set from the author, through a Book Blitz run by Mother Daughter & Son Book Reviews in exchange for an honest review. 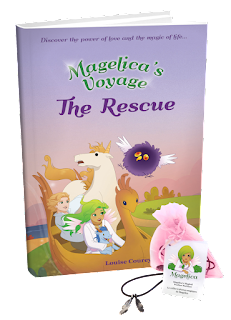 Last week, I shared the first book in this series, Magelica's Voyage. This is the next book in the series and it was just as good as the first one! We are reunited with the main character, Magelica, when she has a dream of a prince lost on an island. Suddenly, she knows she has to get back to tell her friends on where the prince is. Together with her friend, Tris they are whisked away to go tell the queen where they think the prince is. There is laughter, joy and hope as the whole town groups together to go find the prince. Friendships are created and peace to the land is brought back as they find the prince. The prince also remained positive the whole time that there would be a way for him to get home safely. The Magelica books are beautifully illustrated and there is a good moral to each of the stories, including this one. It is about being positive, believing in yourself and experiencing joy. There are many times in life when we can get down, but if we keep these things in mind and encourage our children to do the same, what a blessing that would be! 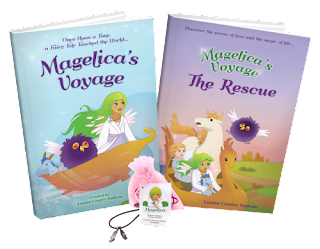 My sons and I very much enjoyed reading these books together and they would love to see Magelica and her adventures created into a cartoon movie. I would recommend these books to parents of young children for a fun, encouraging story time together that lifts our hearts and brings on some giggles in the magical adventures. Thanks for stopping by to read my review. Don't forget to check out all the amazing books, free printables, and awesome products at Magelica.com. Thank you all so much for your encouraging posts and the compassion each of you has! I am so very blessed to be able to visit each of your blogs each week and see how the Lord is working in your lives and how you honor Him. You all are such a blessing and I thank you so much for stopping by each week to share your adventures, stories, and heart-felt family content. Congratulations to Debbie at Bible Fun for Kids for her post, The Beatitudes: More Printables! Annie's Homegrown - We tried the Tomato soup with Bunny shaped pasta and it is not only organic, but it is delicious! The boys also enjoyed dunking the bunny shaped crackers into the soup! ...and there is a Giveaway! Check out this yummy recipe and enter to win $10 in Pay Pal cash! Disclosure: The information, products and Publix gift cards were provided by General Mills through Linqia. Autumn is here, which means pumpkin patches, hay rides and cooler weather. Halloween is not too far away either at this point, and my sons and I were looking for a fun recipe to make. We stumbled upon the Pillsbury Mummy Dogs recipe and decided that looked like an wonderful way to get into the Halloween spirit. Step 1: Heat oven to 375. Step 4: Wrap 1 hot dog, 1 slice of cheese (which goes on the bottom) and 4 strings of dough to create the Mummy Dog. Make sure to leave some room at the top of the hot dog so you can make a face after it is cooked. The boys had much fun playing with the dough and trying to wrap the dough around the hot dog and the cheese. Step 5: Spray with some cooking spray. Put in the oven for 13-17 minutes or until golden brown. Here is my oldest son's Mummy Dog with a ranch dressing face! Here is mine with some mustard! Congrats to Dee J. for winning the $10 in Pay Pal cash and thanks to all who entered! There will be more giveaways coming soon! Disclosure: This post contains affiliate links. If you make a purchase after clicking on these links, I will be compensated. Thanks for supporting my site! Wednesday - The boys did Bible time today with Daddy and read Chapter 6, Lesson 2 in Believe Storybook called the Holy Spirit comes to Establish the Church. What a blessing this was as the boys had many questions, and my oldest who is 6 prayed to accept Christ into his heart with his Daddy. It was a very emotional moment for all of us. God is good! The boys also had a Missions Friends meeting at church where they decorated some toys for Operation Christmas Child. Friday - Today, we read the first lesson in Chapter 7 in Believe Storybook on Cain and Abel. We read about the anger and jealousy, which makes God sad to see in the human beings he created. Despite our failures though, He still loves us and still found a way to save us from our sins. Monday - B did a worksheet on number line equations and G did Lesson 59 in ABCmouse called Math: Rectangles. G also did a worksheet for the number 3. Friday - B did an addition worksheet today and G did number 4 in his math book. We used counting bears to have the boys do one to one ratios. 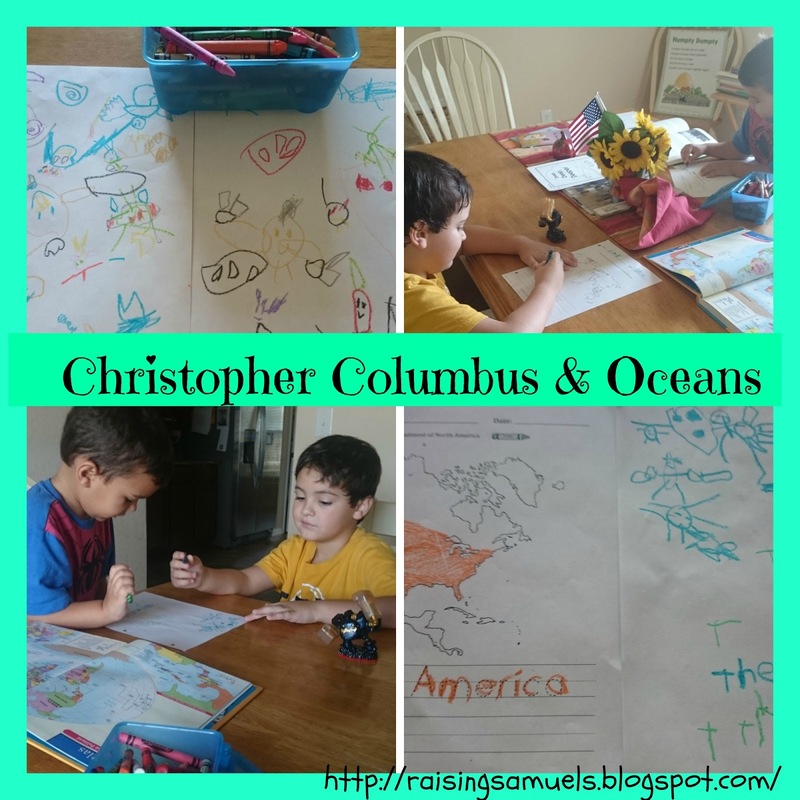 Monday - Our lesson today came from the book, What Your 1st Grader Needs to Know for Columbus Day (pages 116-118). We learned Columbus sailed from Spain in search of spices and pepper from Asia to help keep their meat fresh, since there were no refrigerators back then. He discovered America instead and called the natives, Indians as he thought he had arrived in what they called the Indies. We also learned about the unfairness of the European invasion of guns versus the Indians arrows. I thought this gave a good explanation for this age level and we also looked at maps to see what route Columbus thought he took, versus where he ended up. Tuesday - Today, we went over the major oceans and what the Equator is. Monday - B did Lesson 19 in ABCmouse today on Visit the Tropical Rainforest. Tuesday - We did a The Mailbox activity today called Deep, Deep, Deeper. We went over some of the animals that live in the ocean such as crabs, seals, whales, fish and sharks. Thursday - Today's lesson was in Ranger Rick Jr. magazine, the September 2015 edition. We learned about animals with noses and how they use their noses for other things. The boys had to match animals to their noses and we also learned about proboscis monkeys, chipmunks and rattlesnakes. Monday - B did Lesson 20 in ABCmouse called Words! Words! Words! He also did Lesson 4 in First Language Lessons on Proper nouns and names, and that they have capital letters. G did Lesson 60 in ABCmouse on Reading the Letter R. We also listedned to an audio and followed the story of Robin Hood and the Pirates in the book, The Barefoot Book of Pirates. Tuesday - B read Hop on Pop all by himself today! We also read Magelica's Voyage, and What a Scare, Jesse Bear. G did Lesson 2 in 100 Easy Lessons and reviewed phonics of m and s.
Wednesday - At the library today, we read many books by Bill Martin Jr. such as: Brown Bear, Brwon Bear What Do You See? ; Kitty Cat, Kitty Cat Are You Waking Up? ; Ten Little Caterpillars; Barn Dance! ; and watched a video based on his popular book Chicka Chicka Boom Boom. We also borrowed many books by Laura Numeroff such as: If You Give a Cat a Cupcake, If You Give a Pig a Party, If You Take a Mouse to School, If You Give a Pig a Pancake and If You Give a Moose a Muffin. Thursday - We did some fun stories in Ranger Rick Jr. magazine and also read the book, Night of the Moonjellies. Friday - G did a story sequencing sheet today. Monday - B wrote Europe, The World, from and North America today. G also wrote the word, World and the number 3. Tuesday - B wrote Indian Ocean and G wrote letters m and s.
Friday - G wrote the number 4 today and B wrote numbers 1-13 for his math equations. Monday - We walked our dog today in the nice, cool weather and the boys drew pictures of Skylanders and drew on the maps of the world worksheets we used for Social Studies. Tuesday - B is drawing and coloring non-stop it seems these days. I am excited how much he loves to do this! Wednesday - The boys had fun at the library and at church today with their friends. They sang and danced at the library and did finger plays, and then made crafts at church. Thursday - Today, the boys had a playdate with their cousins and got to splash around in a baby pool and spray water guns. Friday - G practiced his motor skills this week as he cut and pasted his story sequencing sheet. That's our week! We're getting ready to go head to a pumpkin patch soon. What are your plans for the weekend?